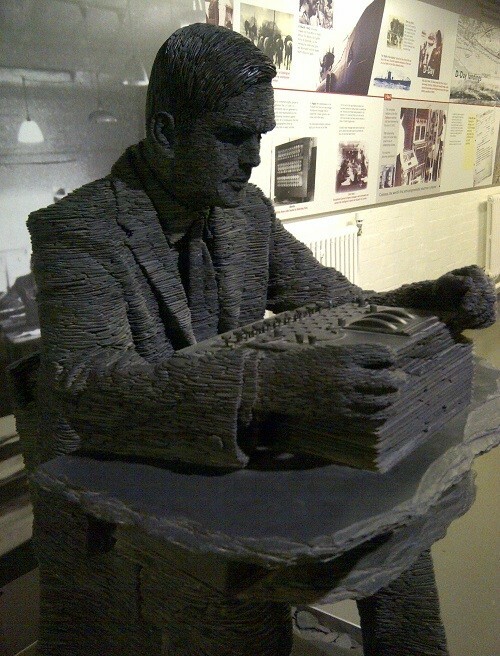 On Thursday 19th September, I made my first ever visit to Bletchley Park in Buckinghamshire, home of the WW2 codebreakers. It’s a trip I’d been planning for some time but as the opportunity came up while I was taking a few days break; I was finally able to spend a whole day discovering part of Britain’s great and secret past. 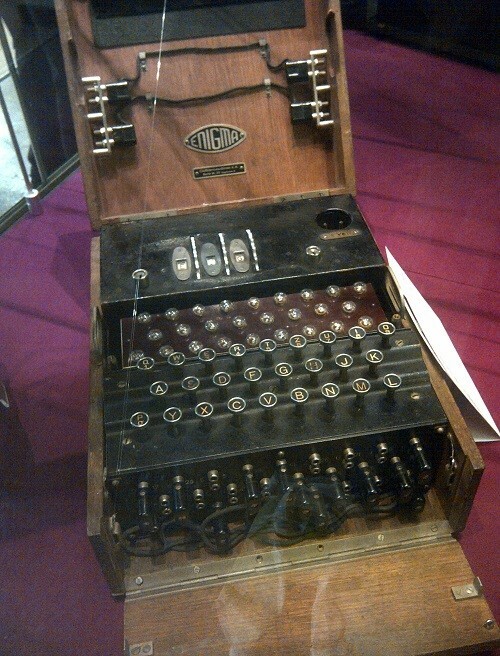 I’ve always been fascinated by the Enigma cipher machines and how a group of dedicated men & women worked so diligently to break into the communication codes, thus changing the course of the Second World War and ultimately saving lives. In the event, I was to learn so much more. There were incredible stories of bravery and loss; astonishing breakthroughs mixed with a good old dollop of luck and of course, the story of how the computing age was born. I was amazed that these ordinary people did their duty in difficult conditions and without question. Many were very young and the first thing they did upon being summoned to the imposing Buckinghamshire mansion-house was to sign The Official Secrets Act. What is staggering is how they remained tight-lipped about the work they did for so long; even after the war had ended. It was seriously intensive work and remains one of the most incredible achievements in our nation’s history. I couldn’t possibly do these fine people justice within a small blog but if you’re reading this, I would urge you to visit the Bletchley Park website to get an idea for yourselves of the magnitude of their achievements. I’m delighted that the Bletchley Park Trust has recently received a £8 million grant from The Heritage Lottery Fund as this ensures that many of the huts which housed the teams of codebreakers and their ground-breaking technology can be renovated and restored to their wartime ambience. There is also a brand new visitor centre which is due to open next summer so I intend to make a return visit to experience it! Most of the people who look after the Bletchley Park site and its exhibits are volunteers. Their knowledge and passion for such a unique part of our heritage is truly wonderful and I thank them for their dedication and pride.